Ich habe mich zusammengerissen und aus meinen viel zu vielen neuen Lacken, die ich mir in diesem Frühling gekauft habe, fünf Favoriten ausgewählt, die ich euch heute zeigen möchte: Models Own Goose, Essie Fashion Playground, OPI I Just Can’t Cope-acabana, China Glaze Strike A Rose und KBShimmer Full Bloom Ahead. Ihr kennt alle schon aus vorangegangenen Posts, aber ich finde, sie so schön, dass man sie nicht oft genug sehen kann! I pulled myself together and picked five favorites out of my way too many new polishes that I got this Spring: Models Own Goose, Essie Fashion Playground, OPI I Just Can’t Cope-acabana, China Glaze Strike A Rose and KBShimmer Full Bloom Ahead. You already know all of them from previous posts but I find them so pretty that you cannot see them often enough! Models Own Goose ist ein schmutzig-gelber Crelly-Lack mit schwarzem Glitter in unterschiedlichen Größen bis hin zu ganz kleinem Mikroglitter. In meinem Oster-Post habe ich euch schon von der Models Own Speckled Eggs Kollektion berichtet und ihr wisst, dass ich ganz verrückt bin nach diesen Lacken. Goose ist mein Favorit, weil er mich tatsächlich an Wachteleier erinnert. Die Farbe ist sicherlich nicht jedermanns Sache, aber ich steh einfach auf solche schrägen Farben 😉 Ich habe Models Own Goose bei Harlow & Co. gekauft. 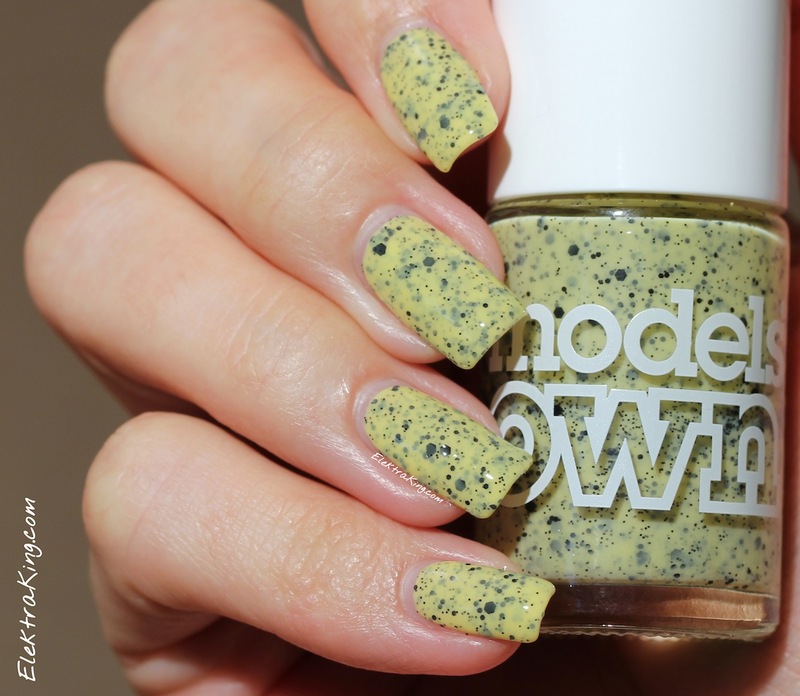 Models Own Goose is a muddy yellow crelly with tons of differently sized black glitters in it. 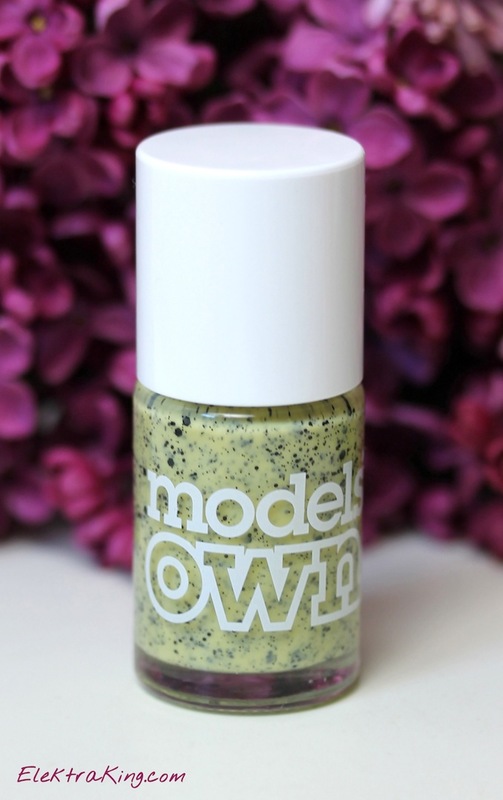 I’ve already talked to you about the Models Own Speckled Eggs polishes in my Easter post and you know how crazy I am about them. Goose is my absolute favorite out of the bunch as it totally reminds me of quail eggs. I guess the color might not be everybody’s cup of tea but it definitely is mine. I’m a sucker for fugly colors 😉 I got Models Own Goose from Harlow & Co.
Essie Fashion Playground ist der hübscheste helltürkise/mintgrüne Lack, den ich kenne. Ich habe euch den Lack schon im April gezeigt und auch ausführlich von meiner Mint-Obsession erzählt 🙂 Fashion Playground ist einfach eine wunderschöne Farbe und ich freue mich sehr, dass Essie diesen Lack herausgebracht hat! 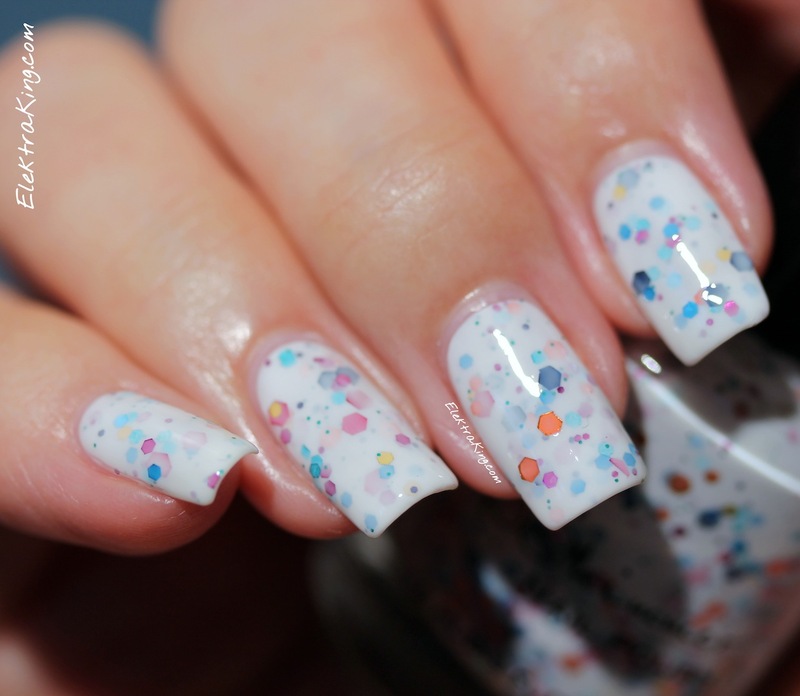 Ich habe Essie Fashion Playground beim BIPA gekauft. Essie Fashion Playground is the prettiest mint green polish. 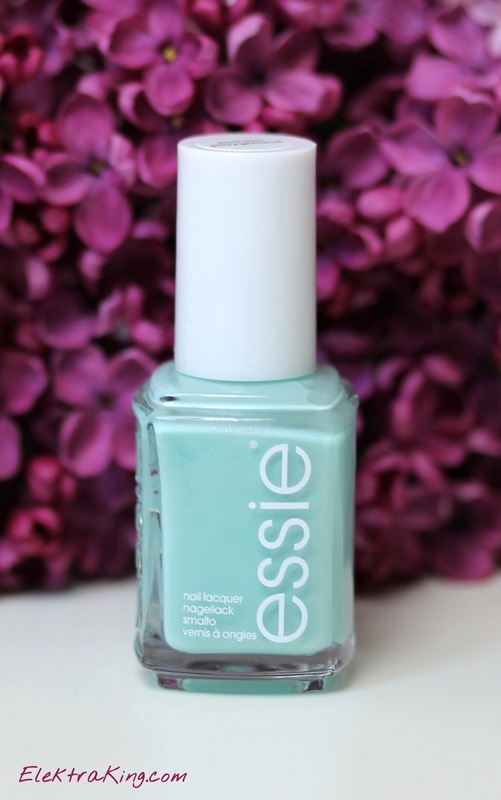 I’ve shown it to you in one of my April posts where I also elaborated about my obsession for mint green polishes 🙂 It’s an incredibly beautiful color and I’m so happy that Essie came up with this polish! I got Essie Fashion Playground in one of my local drugstores (BIPA). OPI I Just Can’t Cope-acabana ist ein wunderschöner, strahlend gelber Cremelack aus der OPI Brazil Collection, die ich euch vor einiger Zeit in diesem Post gezeigt habe. Nichts fühlt sich für mich mehr nach Frühling oder Sommer an als ein gelber Lack! Es kommt mir vor, als wären gelbe Lacke erst in den letzten Jahren wirklich aufgekommen und seit das der Fall ist, schnappe ich nach jedem gelben Lack, der neu auf den Markt kommt 🙂 Die neue Sommerkollektion Off Shore von China Glaze enthält auch einen gelben Lack und ich kann es kaum erwarten, ihn endlich zu bekommen. Ich habe OPI I Just Can’t Cope-acabana auf ebay bei diesem Verkäufer als Teil der gesamten OPI Brazil Collection gekauft. 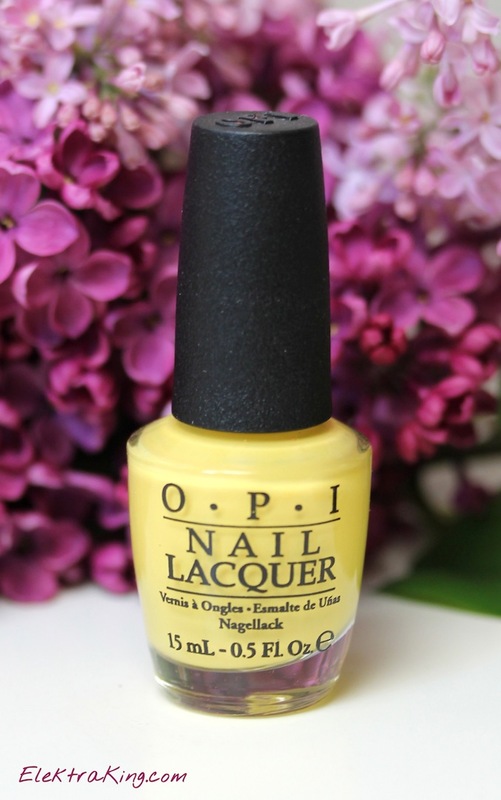 OPI I Just Can’t Cope-acabana is a lovely bright yellow creme and part of the OPI Brazil Collection that I’ve already shown you in this post. Nothing says more Spring or Summer to me than a yellow polish. I feel like yellow polishes only came up in the last few years and ever since they did I have been snatching each yellow polish that had been released 🙂 There’s also a yellow in China Glaze’s new Summer Collection Off Shore and I can’t wait for it to reach my doorstep. I bought OPI I Just Can’t Cope-acabana on ebay from this seller together with all the other polishes from the OPI Brazil Collection. China Glaze Strike A Rose ist ein rosaroter Schimmerlack, den ich euch schon gemeinsam mit der ganzen China Glaze City Flourish Collection vorgestellt habe. Ich würde die Farbe als klassisches, weiches Frühlingsrot bezeichnen. Die Konsistenz dieses Lacks ist toll und der Auftrag makellos. So sehr ich auffällige, unkonventionelle und auch verrückte Designs auf den Nägeln liebe, manchmal bin ich einfach in Stimmung für einen eleganteren Look und Lack wie eben China Glaze Strike A Rose. Ich habe den Lack auf ebay bei diesem Verkäufer als Teil der China Glaze City Flourish Collection gekauft. China Glaze Strike A Rose is a rose colored shimmer. This is a classic, soft red Spring polish and it has a superb formula. 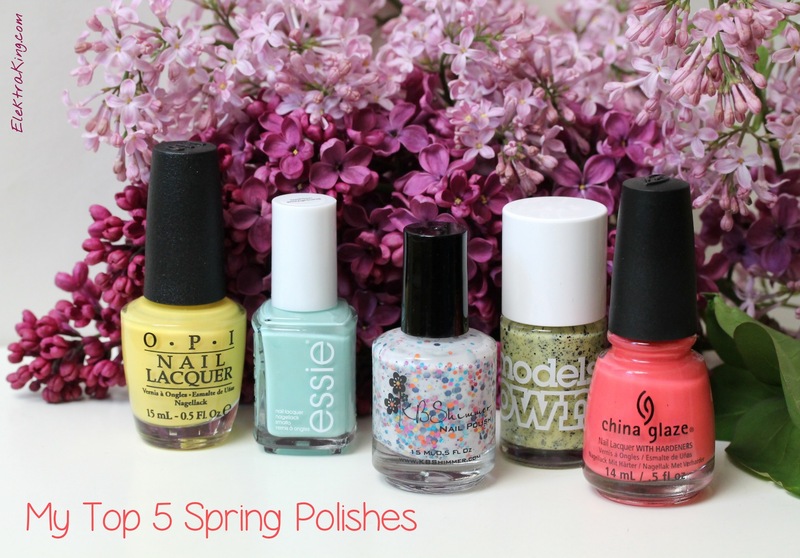 It belongs to the China Glaze City Flourish Collection that I recently presented you here. As much as I love to wear eye-catching, unconventional and sometimes crazy designs on my nails, I also like an elegant look. If you want to be a lady (or pretend to be a lady) China Glaze Strike A Rose is the kind of polish you might wanna go for 😉 I bought it on ebay from this seller together with the other polishes from the China Glaze City Flourish Collection. Meine Top 5 wären nicht vollständig ohne einen weißen Glitter-Crellylack von KBShimmer 🙂 Full Bloom Ahead enthält unterschiedlich großen Glitter in fuchsia, dunkelblau, türkis, gold und orange. Ich habe den Lack auch schon für meine Ostermaniküre verwendet. Gekauft habe ich Full Bloom Ahead bei Harlow & Co., dem internationalen Vertriebspartner von KBShimmer. My Top 5 wouldn’t be complete without a white glitter crelly from KBShimmer 🙂 Full Bloom Ahead contains small, medium and large hex glitters in fuchsia, navy, teal, gold and orange. I also used it for my Easter manicure. What’s not to love about this beauty? 🙂 I got KBShimmer Full Bloom Ahead from Harlow & Co., KBShimmer’s international reseller. Great post! All great choices. I just can’t cope-acabana is my fav here! Oh yes, it is! 🙂 I also find it super flattering for nails and hands. Oh these are such pretty colors and your hands just make them look lovelier! Thank you! 🙂 I’m so happy to hear that!